LINCOLN – Charles L. Byrd Jr., Matthew K. Kosmicki, Eddy M. Rodell, Hobert B. Rupe, all of Lincoln; Krista M. Carlson, Ashland; Joseph E. Dalton, Waverly; and Timothy S. Noerrlinger, Syracuse, have submitted applications for appointment as County Judge in the 3rd Judicial District (Lancaster County). 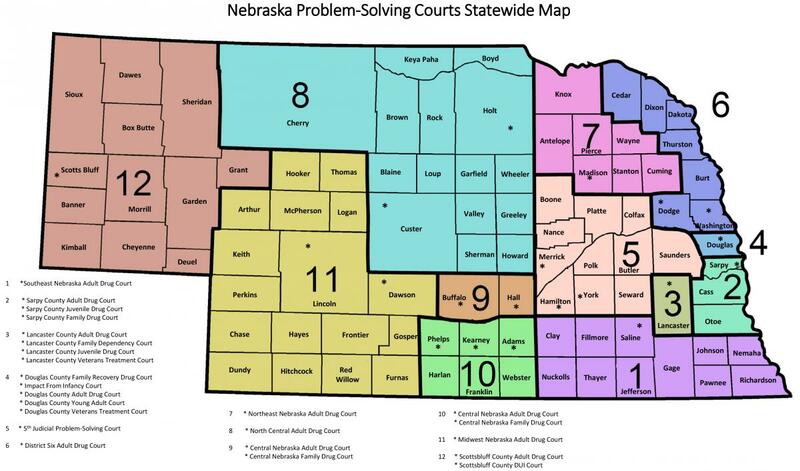 The primary place of office for the judicial vacancy is Lincoln, Lancaster County, Nebraska. The vacancy is due to the appointment of Judge John R. Freudenberg to the Supreme Court, effective July 6, 2018. The public hearing of the Judicial Nominating Commission will be held in the Supreme Court Courtroom, Room 2200, State Capitol Building, Lincoln, Nebraska, beginning at 9:30 a.m. on Tuesday, September 25, 2018. The Commission will review all applicants for the office at that time. The public is welcome to attend the hearing and present information concerning candidates for the judicial opening.